Stairs can be complicated just on a usual day, but have you ever tried climbing two flights of stairs with slippery stuff on them? Here in the good ole US of A, we’ve got lots of game shows that involve people looking ridiculous while trying to achieve impossible athletic feats. There’s the classic Wipeout, of course, which is really just a complicated jigsaw puzzle of how many times producers can safely knock a contestant off a wall for maximum viewer pleasure. And then there’s all the American Ninja Warrior challenges, where even celebs compete. But we don’t have anything quite like Slippery Stairs. 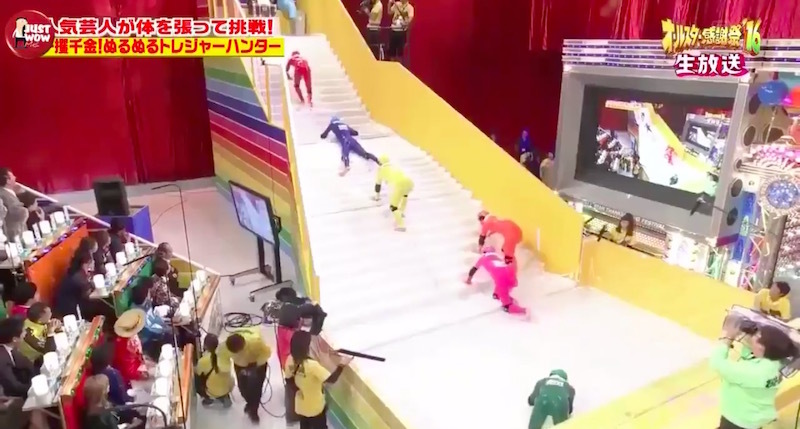 Slippery Stairs is a Japanese game show that is taking the internet by storm. Mostly because it’s just so dang fun to watch. It’s very simple in concept. There are some stairs, and, you see, they’re very slippery. So slippery, in fact, that it is almost impossible to climb up them to the top. It probably doesn’t help that the contestants are all wearing rubbery suits that also get coated in the slippery stuff. It’s like watching toddlers learning to climb stairs, mixed with human bowling pins. This might sound confusing, but in execution, it’s pretty basic. They try to climb the slippery stairs. And it’s really, really hard! They try so hard, only to slide right down! It’s tragic and hysterically funny all at once. And Twitter had a field day, as per usual. The Power Rangers even got in on the fun, joking about those familiar looking costumes. Some consider Slippery Stairs to be an all-too-relatable metaphor. We don’t even need an American version. Just broadcast this on a channel over here so we can get in on that slippery stairs goodness, will you? Oh, and if you need to see the rest, don’t worry. 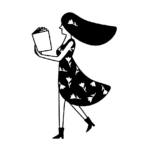 We’ve got your back.